It was announced three years ago and today, the world’s finally getting its first look at the Krypton TV show being produced by screenwriter David Goyer. Kal-El’s grandfather is going to get into a lot of drama, by the look of it. 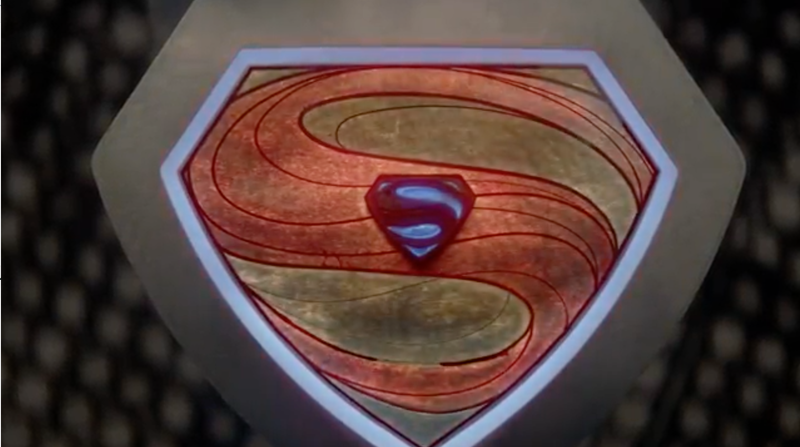 The main character on Krypton is Superman’s grandfather Seg-El and previous descriptions of the show have described it as happening during a time when the House of El was disgraced in Kryptonian society. Narrated by Seg-El as he talks about an anti-oppression rebellion led by Superman’s ancestral line, the trailer shows sweeping vistas of the now-dead planet and what looks like the apparent execution of an El family member. Seg-El then goes on the lam and is told by a character to find the Fortress. A montage of scenes shows, among other things, Seg getting into fights and making out with a character that seems to be Lyta Zod, with whom he has a forbidden romance. Their love is likely verboten because, in past continuities, Krypton’s military and science faction have been odds with each other. A scene about midway through the clip shows Seg looking at a city in a dome. It might be Kandor, which would hint at involvement by evil robot supervillain Brainiac, who shrank the metropolis and took it off-planet. Overall, it looks like Krypton’s aiming to channel the court-intrigue melodrama made mega-popular by Game of Thrones with a high-end science-fiction backdrop. The show’s supposed to start airing later this year so we might get a chance to see it this fall. Update: According to Syfy, the above trailer is not official.